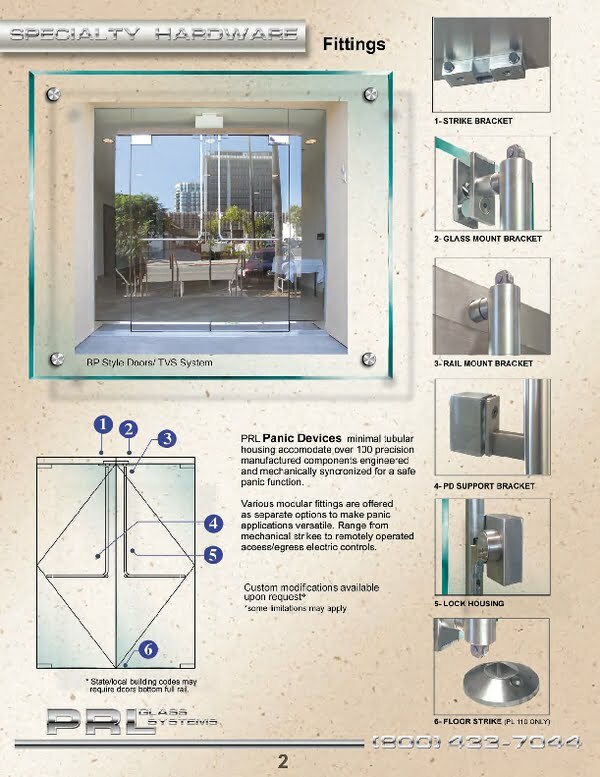 PRL Glass Systems has developed the PL100 Tubular Panic Device and Hardware, a UL approved, 1-1/4" diameter, sleek tubular housing that serves the dual purpose of meeting emergency egress code requirements and serving as an attractive, contemporary push-pull handle. 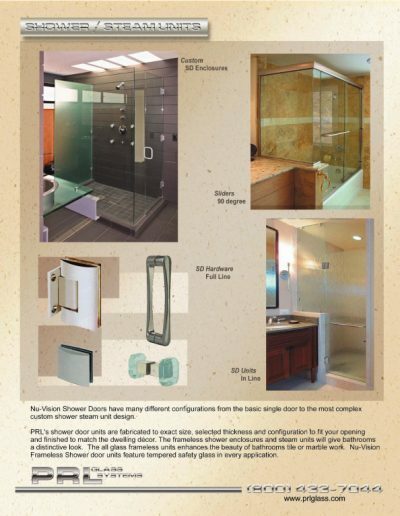 The PL100 and all related hardware and components are manufactured in our facility and installed onto the glass door before shipping. 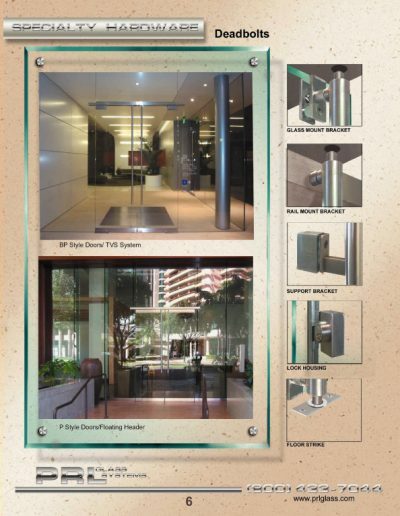 You receive a complete, factory manufactured and assemble product from one source. 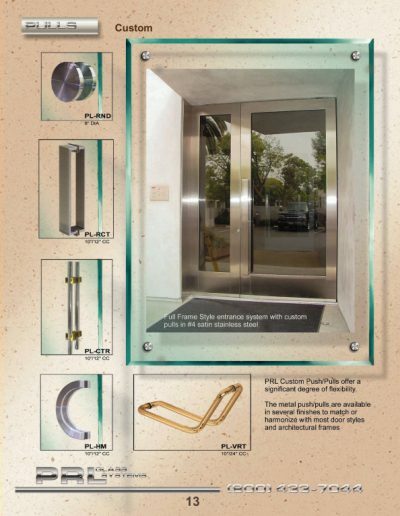 The PL-100 meets all requirements for panic tubular hardware. 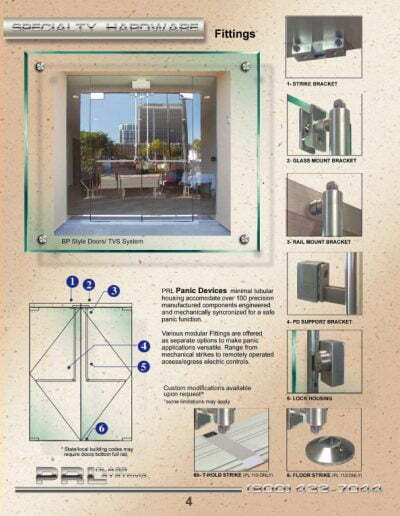 It has been tested in accordance with the American National Standard for Exit Devices, the American National Standards Institute (ANSI), the Builders Hardware Manufacturers Association (BHMA), A1567.3-2008 (Grade 1) and UL305, Standard for Safety for Panic Hardware. Is an L-shaped tubular handle mounted to the inside of the door. 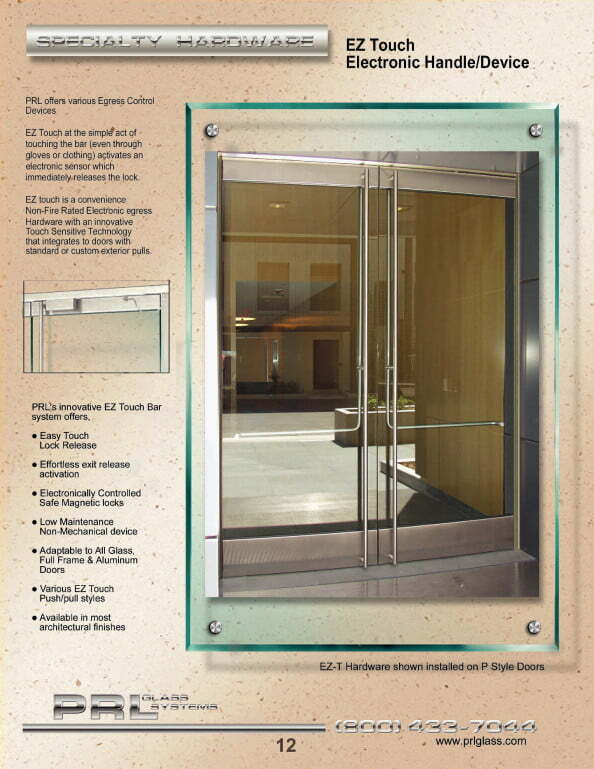 It has a roller latch at the top of the tube that latches into a strike-housing at the door head. 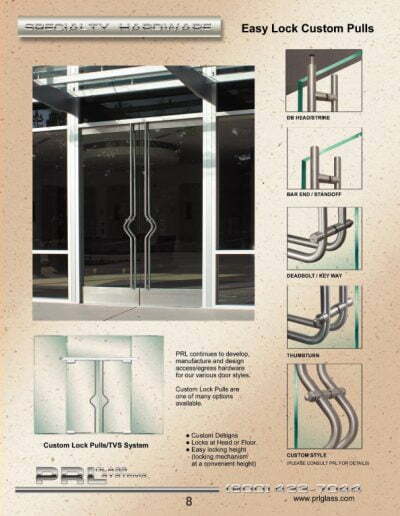 The tube has a pivoting action at the horizontal area of the handle. 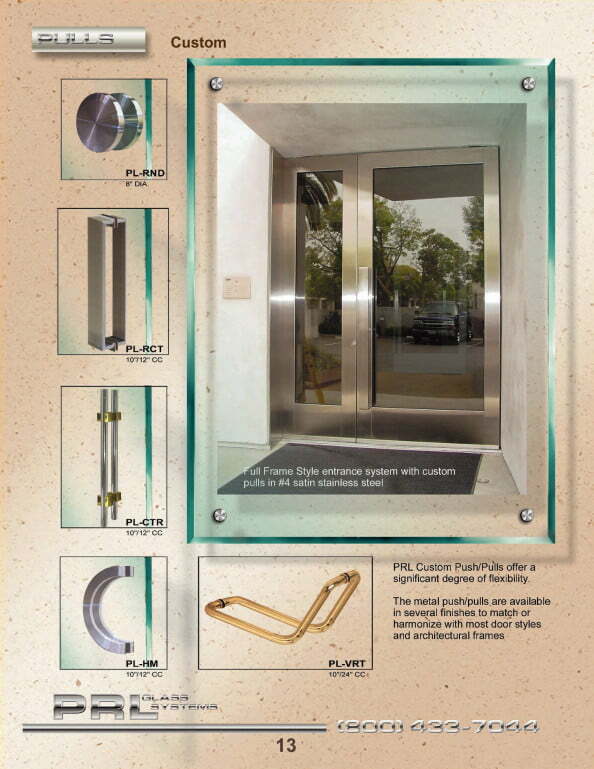 When the lower area of the handle is pushed as a person exits the door, the pressure on the push bar activates an actuator post that in turn retracts the latch at the top of the panic tube. 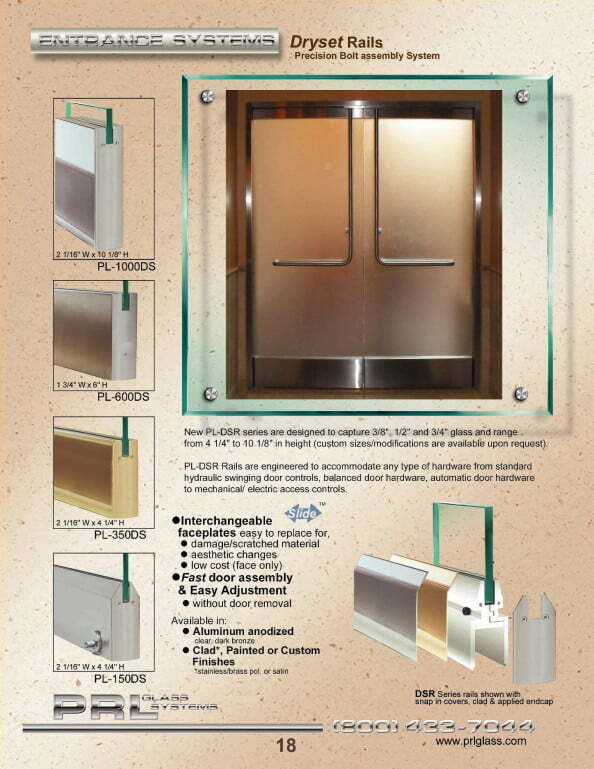 When the push bar is released the latch springs back up ready to secure the door. This allows the door to be secured from the exterior at all times while always remaining free to exit from the interior. 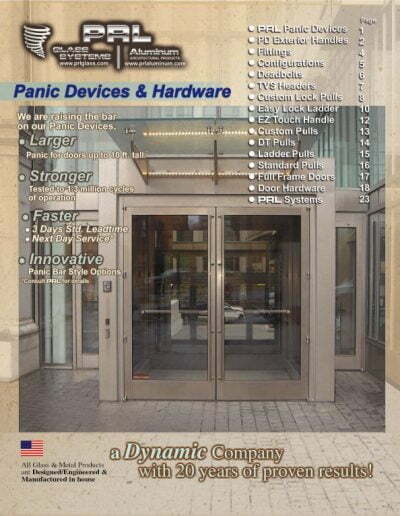 The device has a “dogging” feature that, when activated, allows the latch to be held open throughout the day so the panic functions simply as a handle and when it is “un-dogged” the device returns to functioning as a panic. 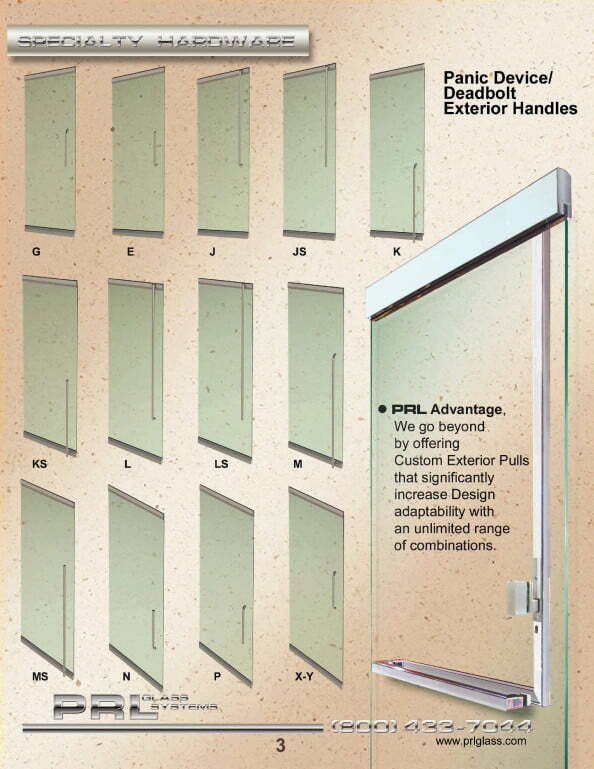 A full line of standard exterior pull handles and hardware are available to complement the PL100 panic on the interior. The most common are the “A” style which is a horizontal tubular bar, the “D” style which is a mirror image of the interior panic tube, and the “F” style which is a vertical tubular pull handle that extends the full height of the door or stops short 10″ above the bottom of the door to accommodate handicap requirements. The panic device can be supplied with or without a cylinder lock-housing at the exterior. 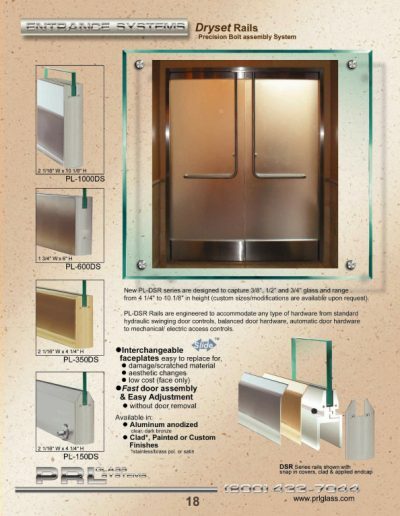 The cylinder can be supplied to accommodate IC cores. The panic is available with a Folger-Adams 310-1 Electric Strike mounted into the strike-housing. This will allow for controlled entry with the use of a card-key reader that electrically releases the latch from the exterior. 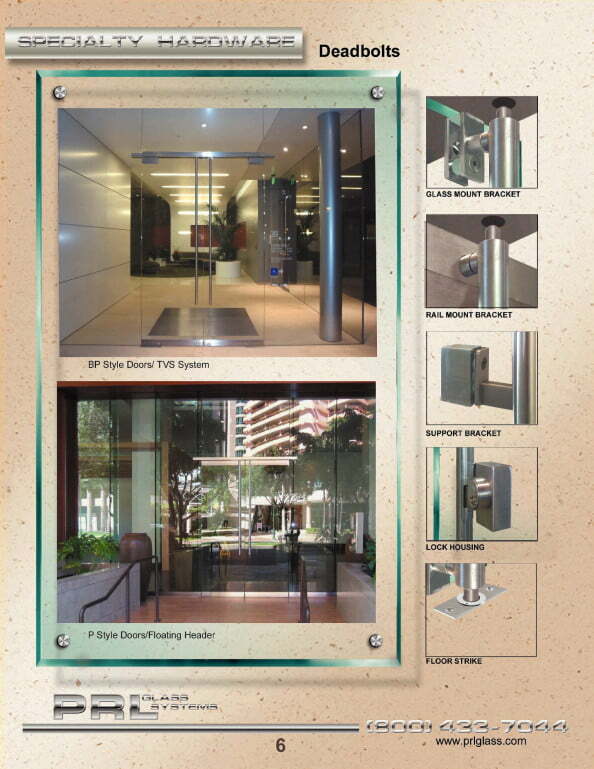 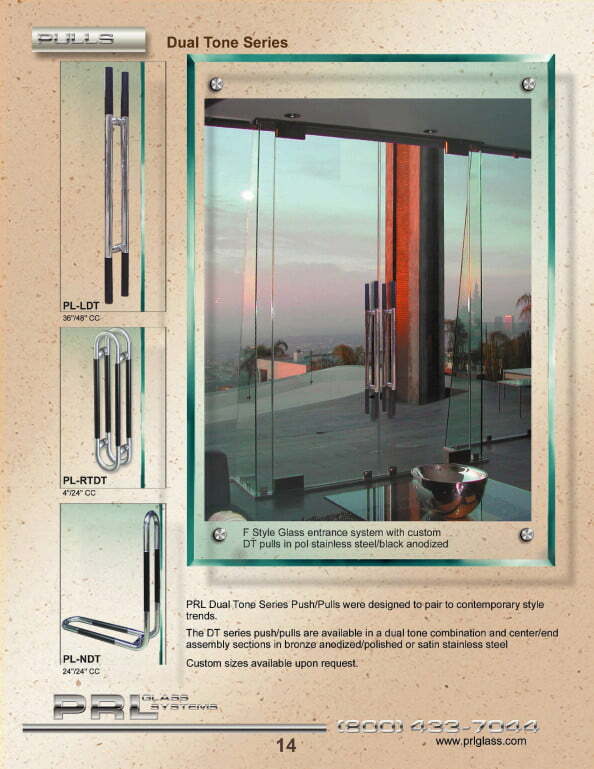 The tubular PL100 can be used on All Glass Doors with a continuous top rail or with patch fittings. When used on Glass Doors with minimal patch fittings a special Glass Mount Bracket is used to secure the panic tube to the top of the door. 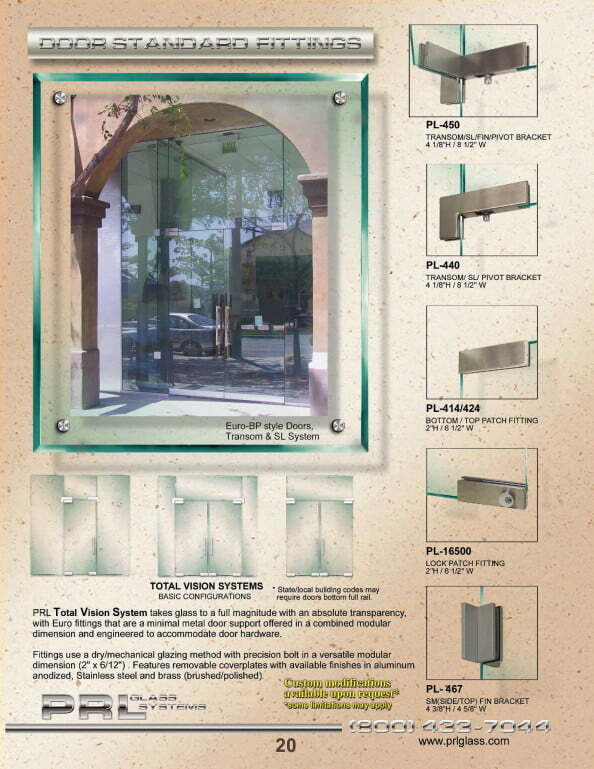 If the panic is used on a Total Vision System where there is a glass transom above the doors, floating style headers or custom brackets are available to mount the strike-housing to. 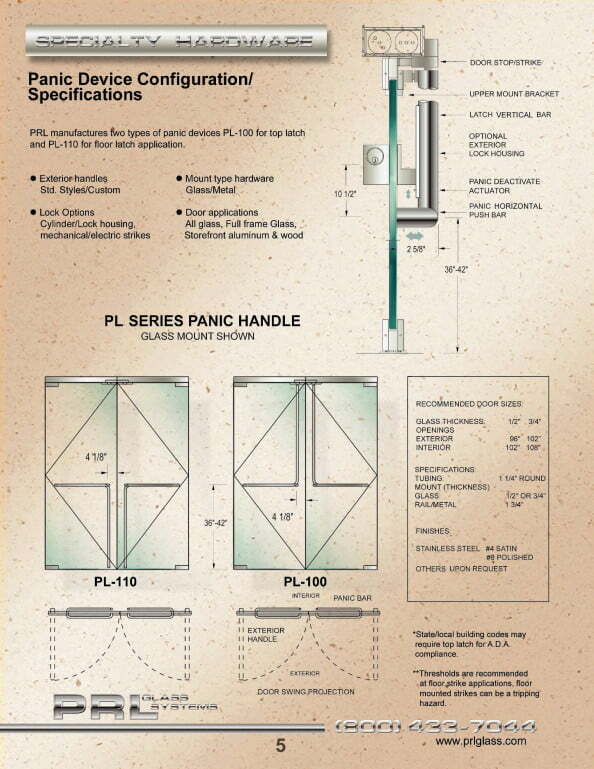 The PL100 Panic latches at the top of the door at the door header. 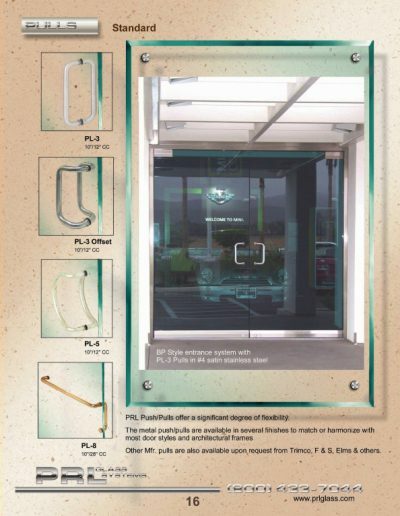 PRL also offers the tubular PL110 Panic Device that latches at the sill. 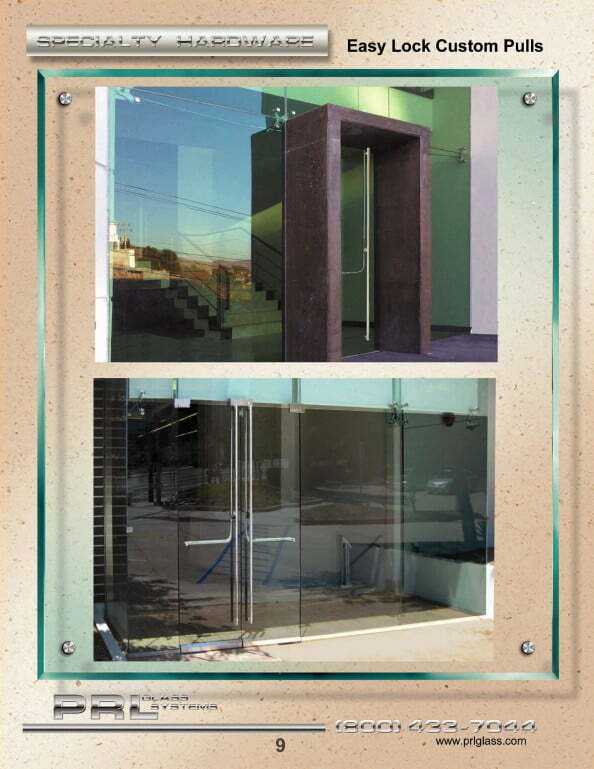 Many building departments will not accept this design due to handicap access requirements so please check with the appropriate building department before specifying this model. 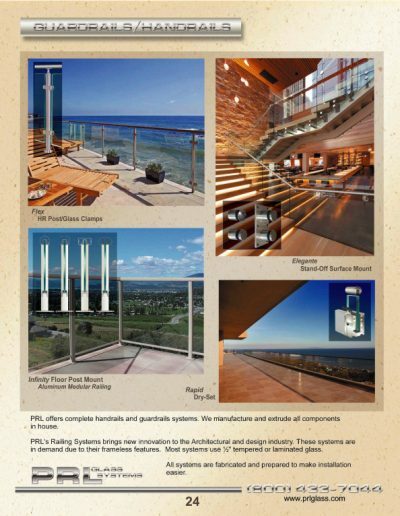 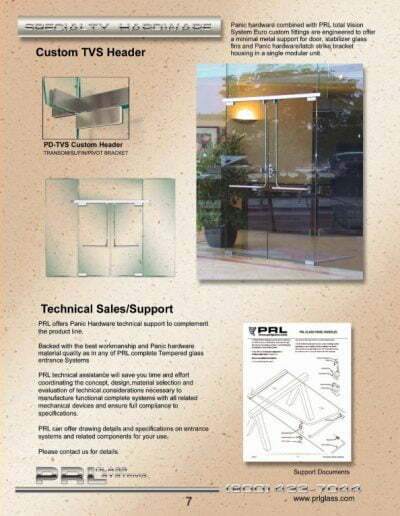 As a leader of innovative products and hardware specifically designed for the Glass Door Industry, PRL has developed a 1-1/4″ SQUARE TUBE panic housing, as well as a MITERED CORNER panic housing. 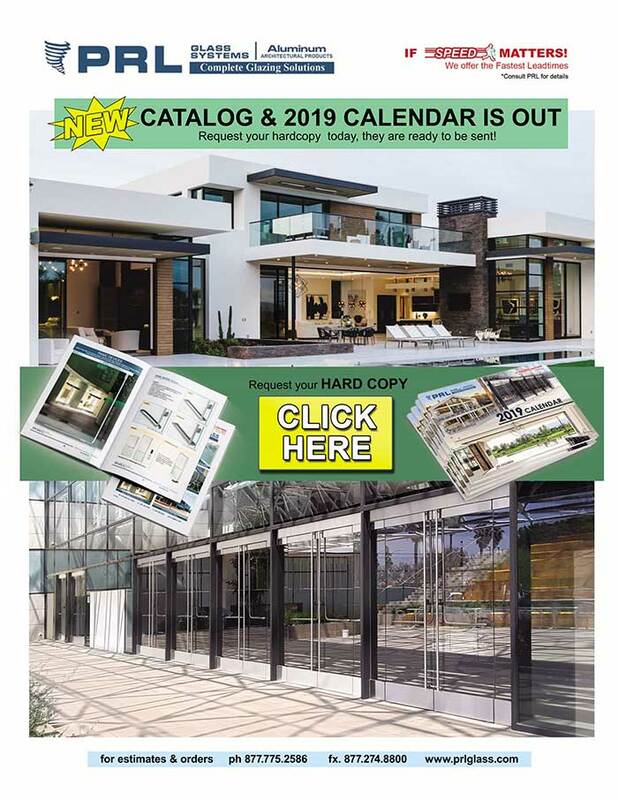 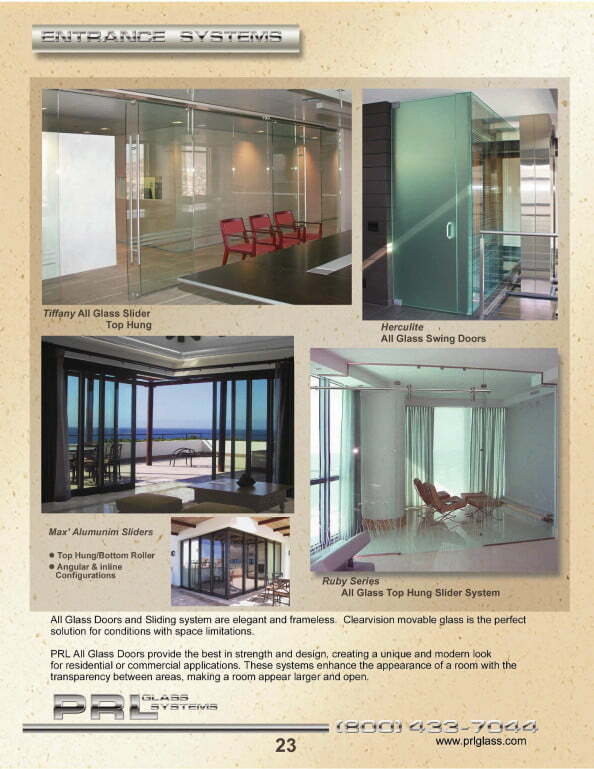 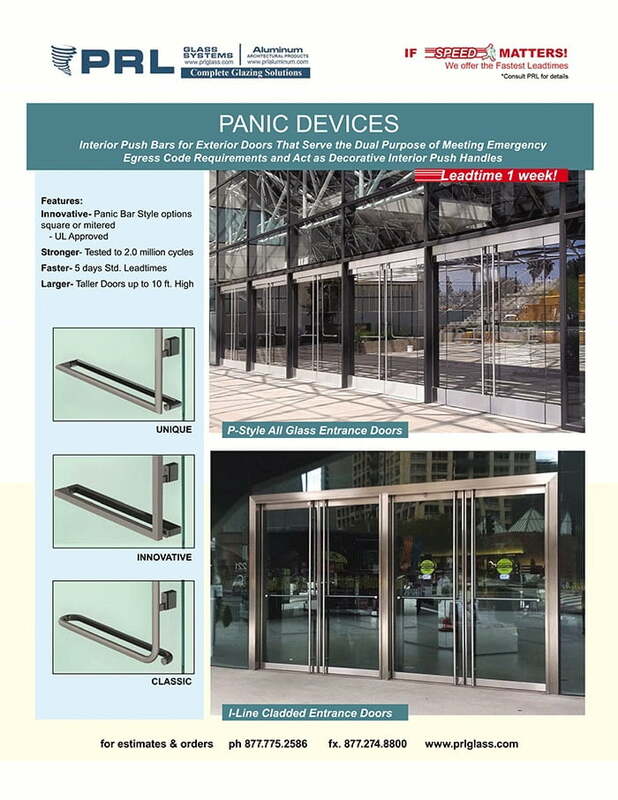 And due to the demand by designers for the use of tubular panic devices on Glass Doors over 108″ tall PRL introduced design modifications allowing our panic hardware to be used on doors up to 120″ tall. This is exclusive to PRL Panic Hardware. 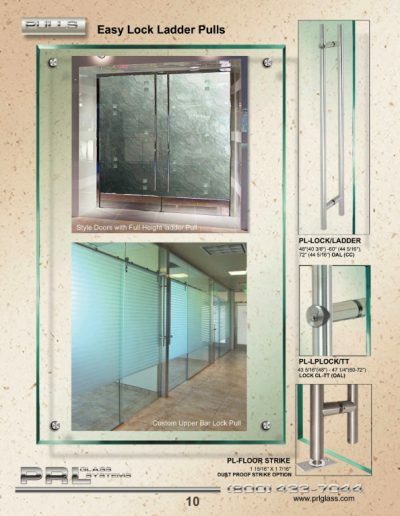 We have undergone testing on 3/4″ Tempered Glass Doors up to 120″ tall and our PL100 Panic device meets or exceeds the testing requirements. Our Tubular Panic Device and Hardware are now the strongest panic device on the market, tested to over 2.0 million cycles. Test reports and technical information can be obtained by contacting PRL. 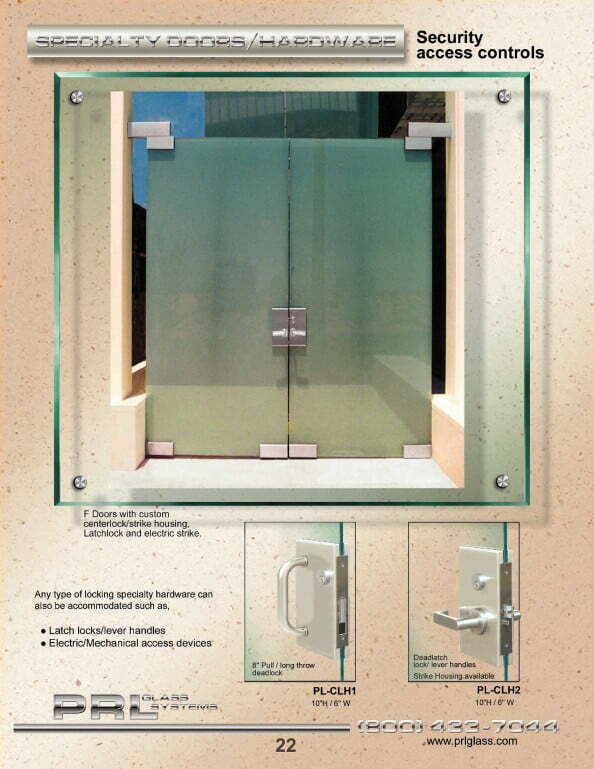 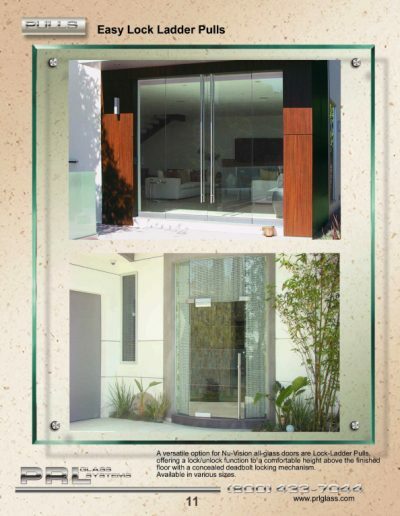 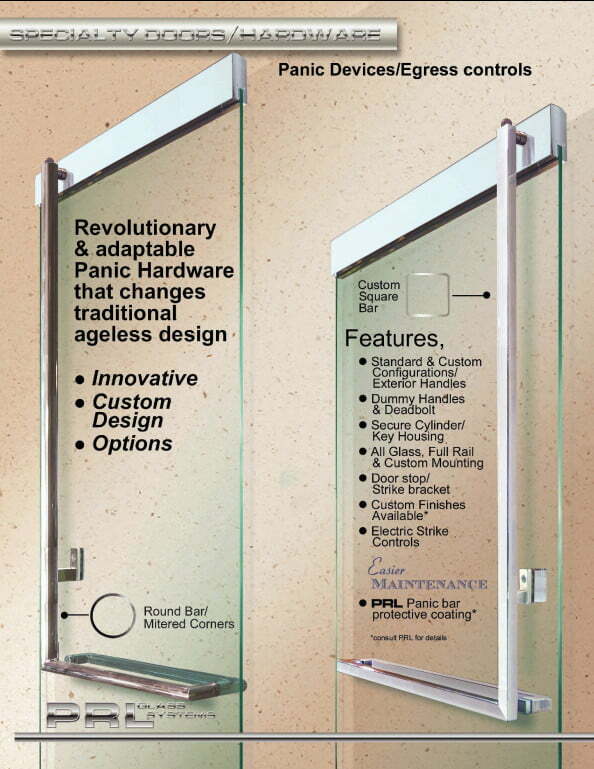 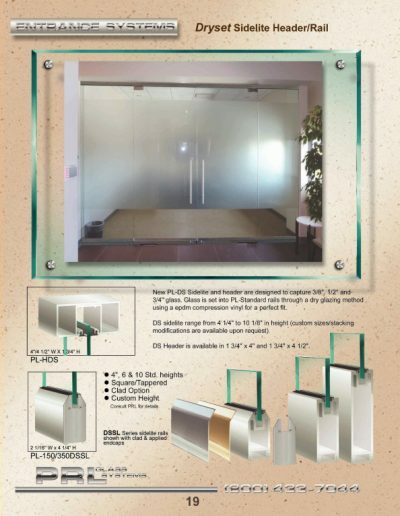 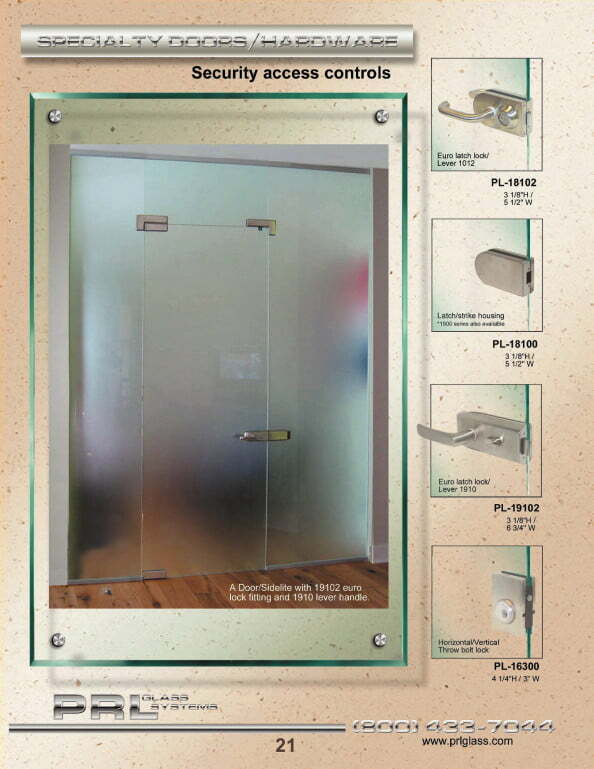 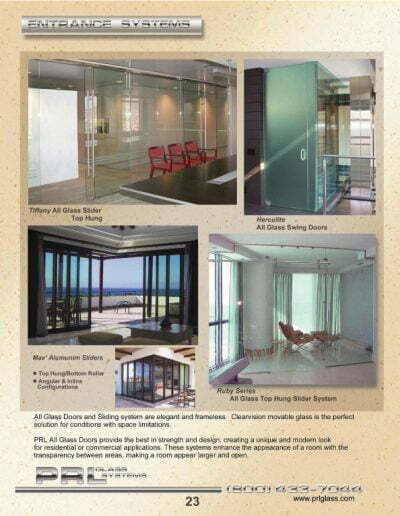 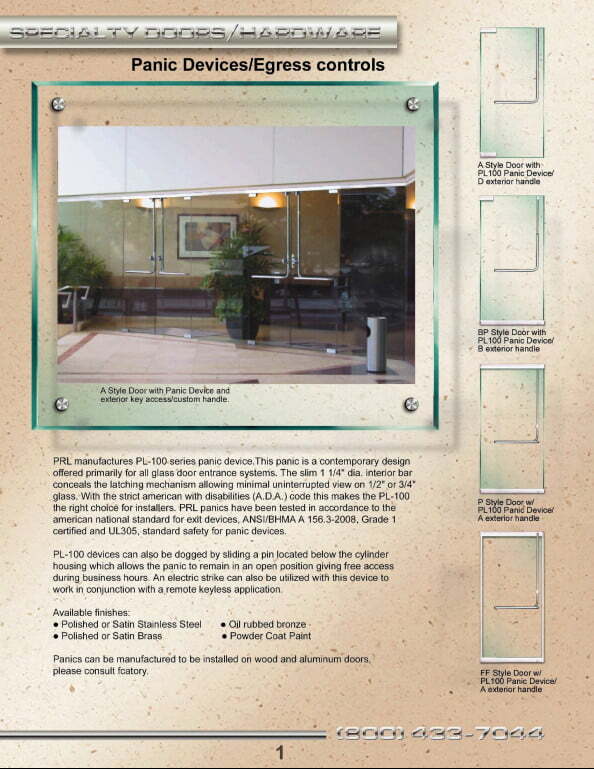 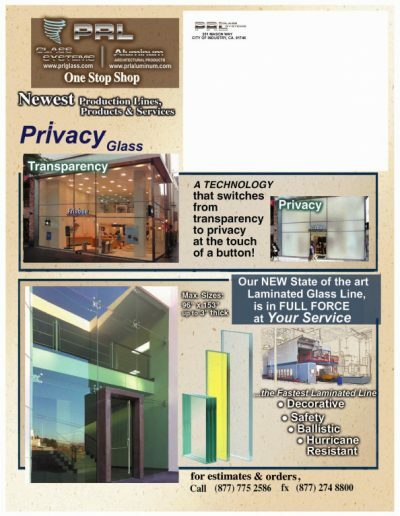 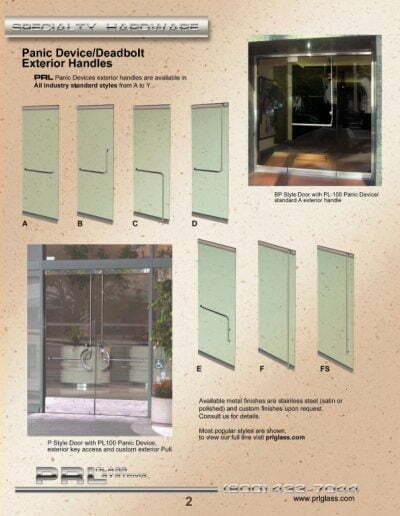 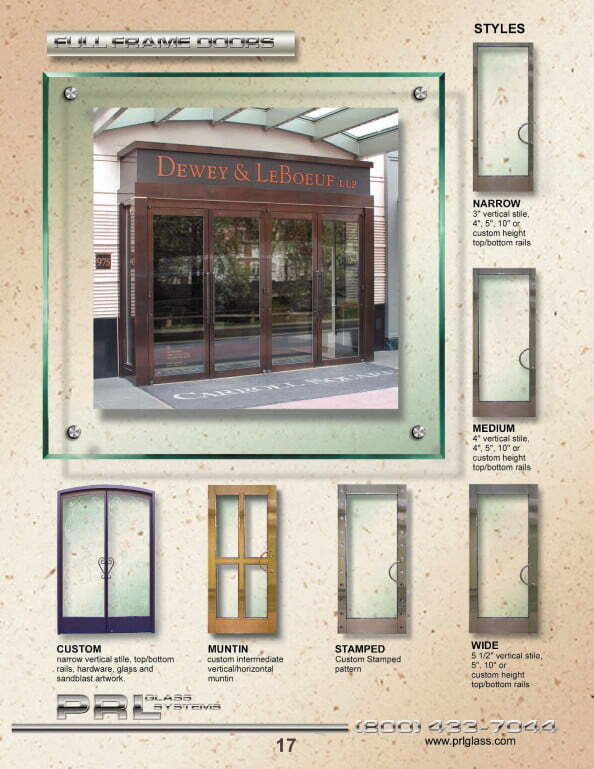 For Panic Hardware with strength and style, PRL Glass & Aluminum Emergency Exit Doors are the Industry leader! 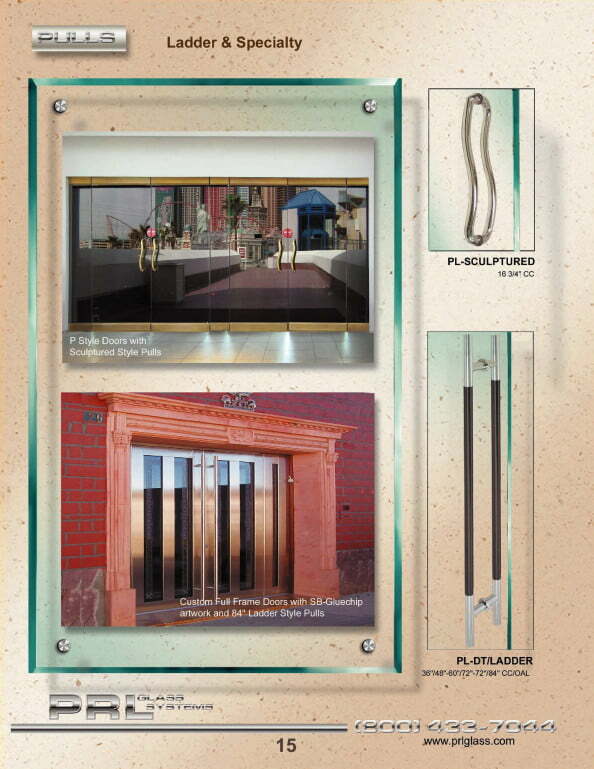 We offer traditional round tube panic devices as well as square tube options, providing the best of form and function for heavy entrance doors up to 120″ tall.